In the gym, Samantha Scott is used to doing the heavy lifting. Now in her new role as office manager in Byler, Wolfe, Lutsch & Kampfer’s Salem location, she’s preparing to help the firm handle the heavy workload during the upcoming tax season. Samantha, who competes alongside her husband as a power lifter, joined the team in Salem in November. Her job responsibilities will include assembling completed tax returns, answering incoming calls, filing, setting up new client appointments, applying payments, and assisting the CPAs with anything they need. 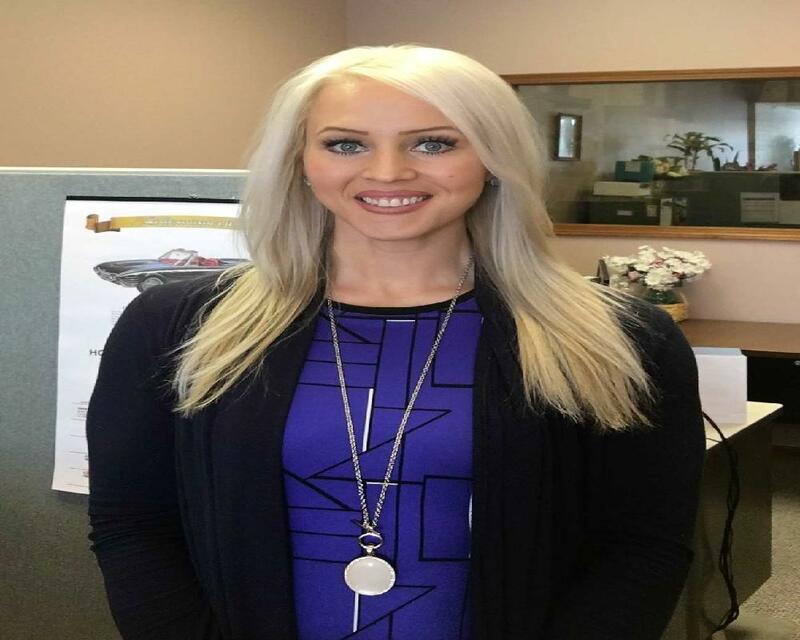 Samantha spent the last five years working in a law office in East Palestine. She has a good deal of experience in the service industry, also spending time in the insurance business. She was born and raised in East Palestine and is a graduate of Crestview High School. After high school, she attended the University of Akron for a year, then transferred to Kent State Salem for a year. She still wasn’t sure what career field interested her, so she took time off from college to work. Ultimately, she decided to use the working world as her classroom. One of her job stops was at a tanning salon, which proved to do more than provide a paycheck. While she was there, she met her future husband, who had moved from California to work as a personal trainer at the gym next door. Three years later, they are married and traveling the country competing in power lifting events. While they’ve competed at events all over the country, they’ve recently narrowed their focus to a special event that is about more than being the strongest or taking home the biggest trophy. Twice a year, they lift in an event called Relentless. These meets serve as fundraisers for children who are terminally ill. Funds raised from the competitions are donated to HopeKids, a non-profit organization founded in 2001. As members of “Team Hope,” lifters are introduced to a HopeKids children and their families who they will be raising money and lifting in honor of. They are invited to the private Relentless Kickoff Events in Minnesota and Detroit where they will be introduced to their HopeKid honoree and their family. Competitors are encouraged to stay in contact with their HopeKids family as they focus on training and fundraising. The lifters’ strength will inspire the HopeKid, and hopefully the HopeKids’ strength will inspire the lifter to press on in training and fundraising.